Somewhere in between high school and Tinder, dating got lame. If you&apos;ve been a couple for a while, going on a date feels like a chore. Every month or so you feel obligated to set work aside, pay a babysitter and spend more money at that same old restaurant. If you&apos;re a new couple, dates are just plain awkward. You struggle painfully through small talk, dance around paychecks and count down the minutes until the night is over. In Dunwoody, we&apos;re not ready to accept that the magic of dating is dead. We&apos;d like to think there&apos;s still a fun, affordable night out without dreading it. And we can prove it with the following outside-the-box date ideas. Read on to get inspired for your next night out. Summary: This date is perfect for both new and longtime couples. Inspired by the movie "Begin Again," starring the endearing Mark Ruffalo and Kiera Knightley, it&apos;s a unique way to get to know each other, skip the meaningless small talk and set a specific tone for your evening. Using the headphone splitter or shared earbuds, put on a song and start strolling. Take turns choosing songs to match the scenery and the mood. Don&apos;t talk, just walk and let the music create a romantic soundtrack for your night. Experiencing the same song through different headphones puts you in your own little world together while life goes quietly on outside your headphones. Dance, lip-sync the words or do whatever the music inspires you to do - let the songs lead the way. At the end of the walk, you&apos;ll have lots to talk about as you explain your song choices and what they mean to you. Dunwoody has 170 acres of beautiful public parks for walking. You could also walk through Perimeter Mall. Summary: Nobody will have the nervous jitters on this date. It&apos;s all fun and zero pressure, with just the right amount of structure to keep the conversation going and the good vibes flowing. Does your lover like pizza? Ice cream? Grilled cheese? Find out before the date, then map out all the places in your area that have that specific food. Take your list, pick up your date, then hit the town. If your food of the night is French Fries, visit every place in town that has French Fries and purchase one order to split. Agree on a rating system and rate each restaurant&apos;s fry together. Get silly, be harsh critics or just eat so many fries you both feel sick. The goal for the night: Find the best French Fries in town. Even after the date ends, that restaurant will always feel special to your relationship. P.S. If you happen to be looking for the best french fry in Dunwoody, save some time and head straight to Village Burger. Summary: You&apos;ll feel like kids again on this high school-reminiscent date. Pick up your date (if you really want to do this right, put on your old letterman jacket first) and head to the mall. Pretend you both have only your $10 allowance to spend, then agree to spend it on a gift for each other. Walk through the mall and hunt for your $10 prizes. Once you find the perfect gifts, reward yourself with a shared dessert at the food court. We promise you&apos;ll cherish the night and your $10 trinket for years to come. Where to shop in Dunwoody: You&apos;d be remiss to miss Perimeter Mall for this date. 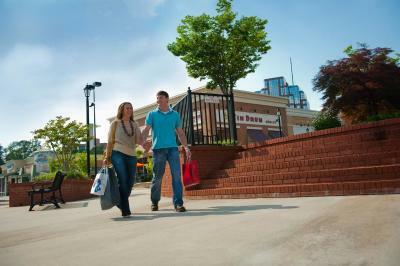 It&apos;s the Southeast&apos;s second largest mall, so you&apos;ll have plenty of shopping options to make the evening last. Summary: Dinner a movie? More like dinner and a good-luck-getting-a-second-date-because-this-is-so-boring. Instead of taking your date to a fancy restaurant, get takeout from their favorite restaurant. Then find a unique, romantic place to eat it. Order food from your date&apos;s favorite restaurant ahead of time. Then grab your partner, pick up your food and head to a special spot to eat it. That could be a park, a rooftop or a tent in your backyard. Whether you get creative and set it up ahead of time or spontaneously choose a picnic spot, your date will feel special knowing you put some thought into your night out. Dunwoody date inspiration: Try Takorea or Farm Burger for delicious Dunwoody take-out. 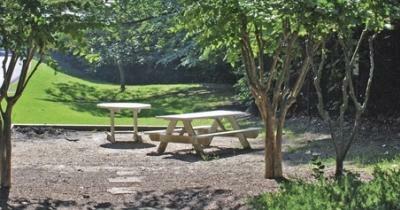 Then spread out a blanket in one of Dunwoody&apos;s many parks. If you&apos;re feeling extra motivated, skip the take-out and pack your own picnic foods. We have a whole picnic planning guide to help you. Summary: Nothing takes an edge off the date better than wine. How it works: Do some research and book a wine tasting for your date night. Then let the wine do the rest of the work. The date will naturally progress to dinner and dessert and who knows what else from there. Just be sure to get an Uber home. 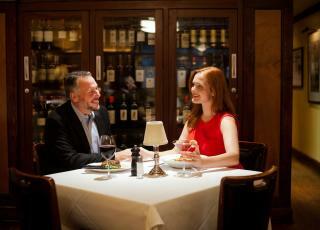 Where to wine, dine and romance in Dunwoody: Vino Venue is a great spot to spend the evening. 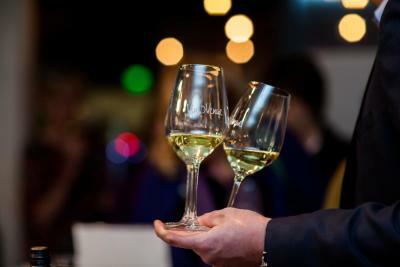 Enomatic machines will keep you well supplied with wine and the hors d&apos;oeuvres are great, too. Summary: Escape a room with your date and be the hero! How it works: You and your team will work together to find clues, overcome challenges, and ultimately complete a mission. Escaping will require teamwork, communication, wits, and a sense of adventure. Choose from 5 unique adventures: Prison Break, The Heist, Gold Rush, Special Ops: Mysterious Market, and Playground. 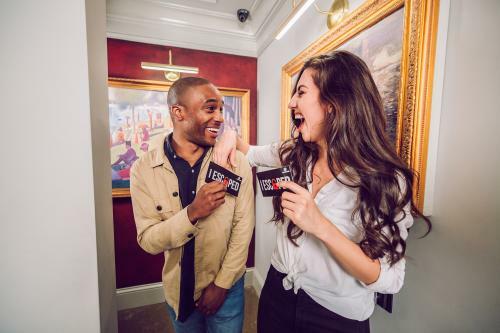 These escape rooms provide an unique date night that you won&apos;t soon forget! Where to play: The Escape Game is located in The Battery, about 10 miles north of downtown! Atlanta is fun, but few people know there&apos;s more to it. Dunwoody, just 10 minutes outside the city, is brimming with outdoor activities, shopping and plenty of date night options. Request a Visitors Guide to plan your trip Outside Atlanta, then follow us on Facebook for more outside-the-box thoughts and recommendations.